The island of Zanzibar (also known as Unguja) is known as the "Spice Island" because of its long-standing association with the clove industry. A low-lying stretch of land, approximately 37 km off the coast of Tanzania, it has always exerted a powerful fascination over the imagination of the world, out of all proportion to its size. 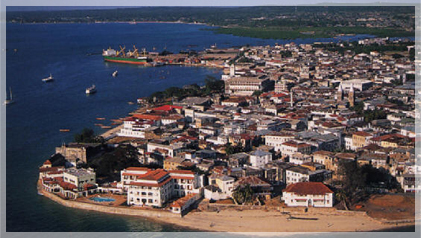 Zanzibar Town, on the western side of the island is the main settlement, the best-known part of which is Stone Town. 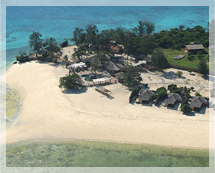 Directly east of Stone Town is the growing section of Ng'ambo whilst to the north of the town are a number of pristine beaches. At the northern tip of the island the dhow centre and tourist resort of Nungwi, whilst some of Zanzibar's best beaches are to be found along the eastern shore. The Zanzibar archipelago also includes the neighbouring island of Pemba and numerous small islands off shore to include Changuu (Prison Island), Bawi, Cahwani (Grave Island), Tumbatu, Mnemba, Chumbe and the sandbanks of Nyange, Pange and Murogo. Stone Town is the oldest section of Zanzibar Town and is made up of a labyrinth of winding lanes, ancient stone houses, Arabian arches, heavy carved wooden doors, circular towers, narrow latticed windows, overhanging balconies and a fascinating selection of bazaars, curio shops, art galleries and spice troves. Considered by many to be the heart of Zanzibar, Stone Town is the only functioning historical city in East Africa and remains much the same today as it was 200 years ago - alive with a bustling crowd of bui bui veiled women, travelling tea sellers, banks of old men chatting on the baraza (benches) of the alleys, skulking cats and laughing children. In amongst its tortuously twisting lanes is also a fascinating cross-section of history the Portuguese Fort, the Sultan’s Palace, the old Dhow Port, the Old Slave Market, the House of Wonders, the Old Dispensary and the home of arch slaver, Tippu-Tipa , to name but a few. The Swahili are not a tribe as such, but the product of centuries of mixed heritage, the end result of which is a harmonious blend of African, Persian, Portuguese and Omani. Arab dhow-traders from the Persian Gulf first plied the islands of the archipelago around the 7th century and subsequently intermarried and founded dynasties with the local Bantu-speaking peoples. Over the subsequent centuries a golden age of Swahili culture was born and the islands became rich in architecture, gold and ivory. In the 16th century Zanzibar fell briefly under the control of the Portuguese before being freed of their unwanted violent rule by the Omani Arabs. The islands were also used as way-station by the British, en route to their Indian empire. By the 19th century the archipelago was a flourishing commercial centre , the worlds largest producer of cloves and the largest slaving entrepot in Africa and such was the consolidated control of the Omanis that the Sultan decided to relocate his court from the Persian Gulf to Zanzibar. By 1845, with the abolition of the slave trade, Zanzibar’s commercial supremacy began to wane and by 1892 Omani control had so weakened as to allow the island to achieve independence from Oman. In 1964 the sultans were overthrown in a bloody revolution and Zanzibar was reunited with the mainland of Tanzania. The end result of so much racial intermingling is a cultural melting pot of coastal people who are loosely termed Swahili and share a common language. And, although the majority of them are Muslims, the relaxed and colorful Swahili way of life is very different from the stricter Islamic practices.